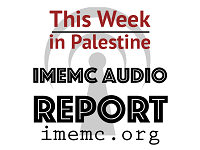 Welcome to this Week in Palestine, a service of the International Middle East Media Center, www.imemc.org, for July 22, to the 28, 2017. As Israeli end its siege on Jerusalem’s Al Aqsa mosque, Israeli army gunfire leave three Palestinians killed this week. These stories, and more, coming up, stay tuned.